With a new distribution arm, original content and funding, UK-based CHF is in full swing. The company - through distributor Monster Entertainment - is launching the first of four new programs at this week's MIPTV market. Looking to build upon its already good reputation in the UK, driven by Cosgrove Hall’s classic animated series Danger Mouse, CHF Media Group launched its new commercial distribution, development and production arm CHF Rights last fall and has been steadily building the business since. 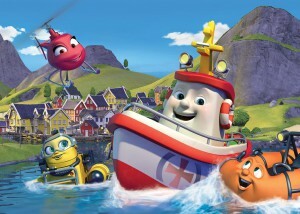 It’s also developing new IP to pitch to UK and US broadcasters, and the first of four new programs on the slate is 2D-animated preschool series Pip Ahoy! After raising US$5 million through British government business expansion program EIF (Enterprise Investment Scheme), CHF – through distributor Monster Entertainment - is bringing six episodes of the US$8.3-million production to this week’s MIPTV before its expected premiere on Channel 5′s Milkshake! block this September. The IP’s licensing and merchandising program also kicked off at London’s BLE in October. 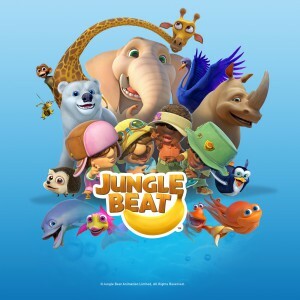 “Lisle International is already on-board [as our licensing agent] and we’re confident of landing a master toy and master publishing deal before June,” says CHF Entertainment president Francis Fitzpatrick. CHF Media Group originally formed in 2011 as a new company supported by private investors after Cosgrove Hall Productions was shut down by owner ITV in 2009. CHF Media Group then launched animation company Cosgrove Hall Fitzpatrick Entertainment under the leadership of creative director Brian Cosgrove, MD Simon Hall and Fitzpatrick. With offices already in London and New York, the company moved into a new office in Manchester last fall and according to Fitzpatrick, it was able to hire more than 80 people—primarily as a result of the new UK tax credit, which went into effect on April 1, 2013. CHF Rights, led by industry veteran Brendan Kelly, is now leveraging CHF’s full slate of in-house productions and acquired third-party content for potential worldwide broadcast, L&M and multiplatform opportunities. CHF’s second title is 52 x 11-minute action/adventure comedy Hero Gliffix, which follows the adventures of a group of crime-fighting dogs who live in a museum. 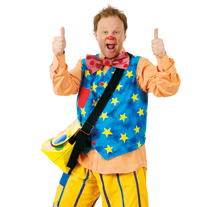 Pre-production has wrapped and CiTV is expected to air the show for kids six to nine in September 2015. Another new adventure/comedy series, also for the six-to-nine set, is Horatio. 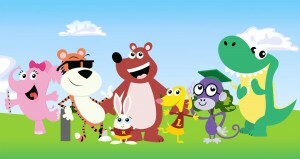 CHF is also looking for a broadcast partner for its 52 x seven-minute, 2D-animated preschool series PowWow Pando. The company is seeking US$8.3 million in funding for all four properties. He adds that the US is a major focus for CHF in 2014 and beyond. An expansion is currently planned for its New York office, where Fitzpatrick will eventually take a more permanent role.